In the last 5 years, we have witnessed the birth and rise of so many currencies in the crypto scene; many thanks to the Blockchain technology (which doesn’t quite get enough accolades as people focus only on the financial and trading aspect of crypto coins and are quick to forget the originator). Stellar Lumen (XLM), NEO (NEO) and Cardano (ADA) are examples of cryptocurrencies that were launched between 2014 and 2015… and have rose to the top 10 cryptocurrencies in the world (according to CoinMarketCap’s market capitalization rating) in the relatively short span of their existence. The EOS cryptocurrency is another example — only launched about a year ago but is now the 5th biggest crypto coin in the world (when ranked by market capitalization). Let’s talk about EOS, shall we? EOS is an operating system based and engineered on the decentralized nature of the blockchain technology. One of the basic and simplified explanation of the operating system: “EOS.IO is software that allows businesses to build blockchain applications that resemble existing web-based applications, using an architecture similar to website frameworks”, an excerpt from a Quora thread reads. 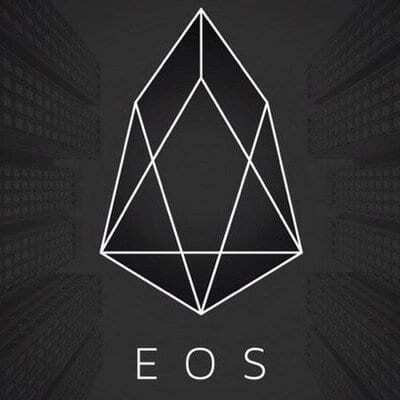 EOS was founded by Dan Larrimer in June 26, 2017. Larrimer doubles as the creator and founder of some other blockchain applications Steem and BitShares. With EOS, developers will be able to easily create blockchain-based applications where end users will also be able to interact easily. EOS has been nicknamed as a “serious competitor” to Ethereum because if solves the scalability and transaction fees issues that exist on the Bitcoin and Ethereum network. EOS coins is like a currency with which a developer claims server space and resources for his application. Basically, a developer is required to have EOS coins to use the EOS blockchain. Although server resources will be allocated based on the level or coin a developer owns, developers do not have to spend this EOS coins to host their applications or use server resources; rather, they (EOS coins) just need to be held as a proof of ownership. 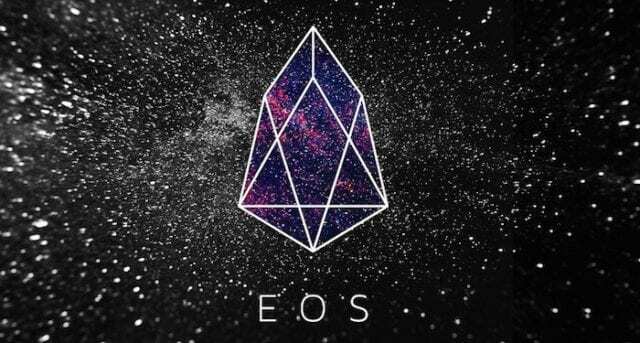 Rather than charge users fees to take some action in the EOS network, EOS is designed such that bandwidth, computation, and storage capacity are allocated in proportion to the amount of EOS that is staked within an application. The EOS platform is also renowned for its fast transactions speed and the voluminous amount of transactions that can occur on the platform in a second. EOS was created to handle quick transactional speed and the ability to process up to 50,000 transactions per second — a feat Ripple recently achieved to surpass VISA’s 24,000 transactions per second. When EOS was launched by the developers/creators, a total of 1 billion EOS coins were created. 20% (200,000,000 million) of the EOS token supply were sold for about $185M in ETH over the first 5 days of token sale, 70% will be produced, sold and spread out at the rate of 2,200,000 coins per day for 360 days. The remaining 10% (100,000,000 million) EOS coin are reserved for the founders; and it cannot be traded, sold or transferred. Trading EOS might have somehow piqued your interest. Well, the first step is to get a wallet that is compatible with EOS coins or tokens. There are a couple of them, so they’re are quite a number of options to choose from. You should know that since EOS is based on the ETH network, you can hold EOS coins in any wallet that supports Ethereum. You can check out wallets that supports ETH in this guide on Ethereum, or peek some of them listed below. Hardware wallet: Trezor and Ledger Nano S are reliable and secure hardware wallets that are compatible with EOS coins. Desktop & Web Wallet: Ethereum’s official wallet (MyEtherWallet) is a good wallet to keep your EOS. Jaxx and Exodus are also reliable wallets. Kraken – supports the purchase of EOS using fiat currency (USD, EUR, Japanese Yen, Canadian Dollars). Bitfinex – like Kraken, it also supports EOS-USD exchanges. 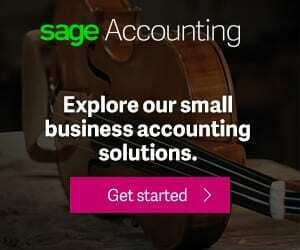 Changelly – doesn’t support trading in fiat currency, but you can purchase EOS using another cypto coin. HitBTC – also support trading EOS in fiat currency. Although EOS runs on its own Blockchain, its token runs on Ethereum’s network, it (EOS) has more to offer than Ethereum and likewise sports some amazing and unique features that have pushed it to the top 10 cryptocurrencies in the world and also handed the crypto a promising future.